Gameloft have recently released Gangstar New Orleans aka Gangstar 5 on the App Store and Google Play Store. This is their response to open world action games like Grand Theft Auto or Saints Row and we love playing it so far! But today we’re here to share with you everything you need to know on how to download Gangstar New Orleans for PC and play it for free, legally, at any time. 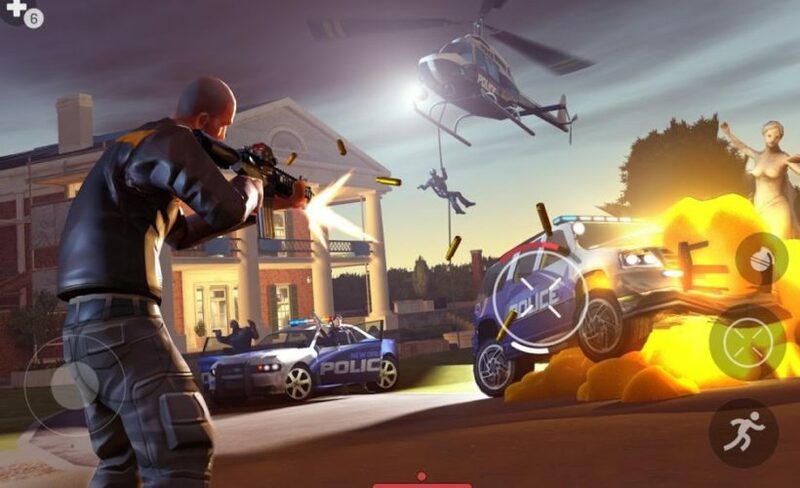 There are multiple advantages of playing a mobile game on your desktop computer or laptop and our method works both on Windows computers as well as Macs. Even more, with a huge open world game like Gangstar 5 aka Gangstar New Orleans, playing it on a larger display makes it feel like you’re playing a real video game. Plus you don’t have to worry about your phone’s or tablet’s battery life, and Gameloft’s latest title loves your batter juice. In the end, it doesn’t even matter why you want to play the game on PC – we think it’s a great idea and we’re here to share with you all the methods on how to play Gangstar New Orleans on PC for free and legally, so check out my complete guide below! 1. First, you will need to download a special program called Android emulator, like Bluestacks or Bluestacks 2 (same page). Install the one of your choice for free on your computer. 2. Launch the program and use the in-app search option to search for your game. Simply type “Gangstar New Orleans”. 4. After the game installs, simply browse to your App in BlueStacks or Bluestacks 2 under the All Apps category and launch the game. This is it! You have now installed Gangstar 5 on your PC and you can play it for free at any time! “The gold standard for open-world action-adventure series is back, in the fascinating city of New Orleans. With hundreds of vehicles, an outrageous arsenal, and complete freedom to roam this vast city, you have all the tools to become a criminal legend. As I said, we love playing the game on our mobile devices, but on a larger screen of the computer it’s even better so follow the guide above and install it as well. You will surely love it too! Thanks so much for the suggestion that I can download the app, I believe I will have a great experience with Gangstar New Orleans. Gangstar 5 is one of the best game app i ever download. the effects and graphic of this game is awesome. I just want to let you guys know you can get it on the microsoft store app for windows 10….. BlueStacks destroys your hard drive space due to random downloads.